We came here four years ago for my mom’s birthday cake. Surprisingly, we loved the cake and ever since then, we have been buying cakes from them. They do their best to accommodate to the day we would like to have our cake to be picked up as well as whatever we want on our cake. Their service has been very consistent: friendly, timely manner, and “awesome” taste of the cake. It is wonderful to see that they will be moving on Euclid and Commonwealth in a bigger place. They can surely provide more good cupcakes to purchase :). As the wedding is now over, but not forgotten, there are pieces of the event that need to be recognized. While we didn’t have a traditional wedding, we had a SPECTACULAR wedding! The icing on the cake was the dessert. We didn’t opt to use a GRAND wedding cake. Instead, we decided to go the cupcake route. With many to choose from, it all came down to who provided great customer service. We found it! Getting your frosting on at Patty’s Cakes and Desserts in Fullerton. My fiance and I had gone through many cupcake places, and there were a few that made it on the list. Finally, there was just the “ONE.” I contacted via e-mail with Patty’s Cakes and got a personal response from Bethany. She is awesome for getting back quickly and providing quick responses. All my requests were simple and kept me at ease. So, next stop headed to Fullerton at Patty’s Cakes and Desserts. Located in a shopping plaza on the northeast corner of E. Commonwealth Ave/Raymond Ave, in a little-hidden section, you will find Patty’s Cake and Desserts. Based off of the look, it didn’t look like much. Again, who told us to never judge a book by its cover. Small store, but it was meant to be dessert cater shop and not a eat in the store. However, I would like to see that in the future. However, they are moving to a bigger facility from what their website has posted. We walked in and noticed another lovely couple planning their big day with one of the employees. 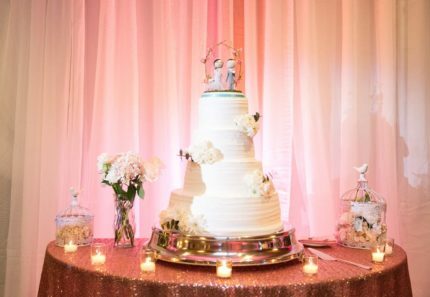 We knew this was Wedding Cake Central. We were welcomed by Austin. With the advice of both Bethany and Austin, we were placing orders for 80 Cupcakes. We were having a simple wedding and wanted to enjoy simple desserts. My original plan was to order 40 Vanilla Mousse and 40 Cream Cheese. My fiance kicked some sense if some of our guests didn’t like cream cheese. So, I ordered a straight 80 Vanilla Mouse. Since I had a large order, I received a discount. Cupcakes are about $3.00 each if you purchase in smaller amounts. The staff can accommodate your needs based on the venue and the size of your guests. They are a phone call or e-mail away from answering what you need. Trust them and me; they know how what needs to be done. After we paid, we set a date of when the cupcakes need to be ready by. We set a date for July 15 so we can deliver them to the restaurant. Just a day before the wedding, my wife picked up the cakes. Unfortunately, I was not there to help, but she had boxes and BOXES of cupcakes. It was like the greatest dream or one of those delicious nightmares. 80 Cupcakes in one trip. I am sure my wife was very careful. The cupcakes were placed in specially designed photos. Sorry, I don’t have photos to include of the box and the cupcakes, but my wife sure does have one. When we had our reception, everyone loved the cupcakes. I didn’t realize that the cupcakes had filling in them. Whoa! That was very cool. The Vanilla Mousse was very delicious. I thought it would harden, but it didn’t. Much more love to Patty’s Cakes for such a wonderful dessert. Our wedding is over, and we were filled with joy and happiness to share our love and food with our friends and family. We saved a cupcake and placed it in our freezer. We hope to eat it in one year! I wonder how that will taste. On our wedding adventure, Patty’s Cakes and Desserts did their job. Now, they are on their next adventure to a new location during the summer. I sure hope they are around for our Vow Renewals. Our Married Life continues and the countdown to eat that cupcake in less than a year. Yelp…My passion is not to write my reviews, but to share my experiences with you. Take that journey and share your story. 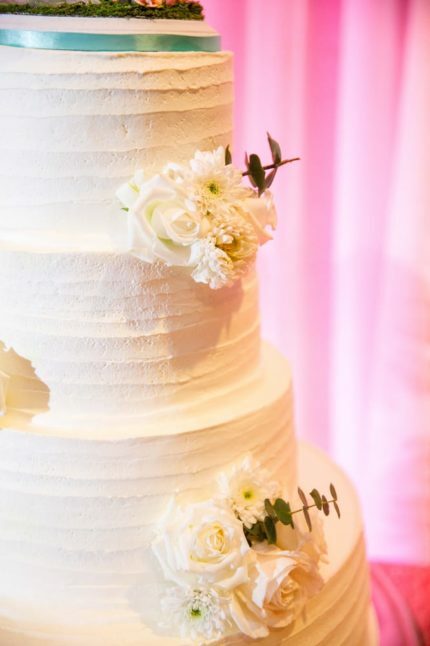 [Review] We had The Honor Of Hiring Patty’s Cakes For Our Wedding Cake. I always say the reviews never lie and its true! 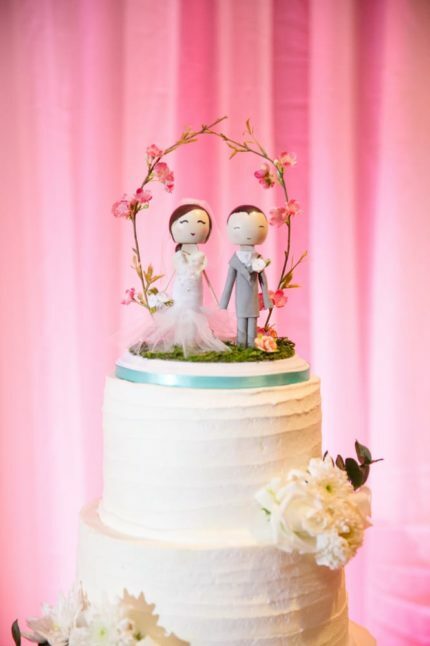 We had the honor of hiring Patty’s cakes for our wedding cake. We found Patty and her team through our venue which was at Coyote Hills Golf Course. We went to two tastings – Patty’s cakes and another bakery nearby. Patty’s cake by far dominated the competition. Patty was actually the person that helped us during the tasting and she was quite delightful! Her personality was super personable and we both thought she was the sweetest. I only see cake tastings on movies so doing one was such a fun little experience. Both my husband and I loved all the flavors…ultimately we picked the banana with the bavarian custard and red velvet with cream cheese. I also ended up getting my bridal shower cake prior to the wedding and some work cupcakes for a special occasion. The day of the wedding, the cake got their on time and all our guests enjoyed it! I would highly recommend Patty’s cakes to anyone getting married or anyone just looking for a delicious moist cupcake/cake! [Review] Excellent Customer Service And Delicious Cakes! Excellent customer service and delicious cakes! I had a last-minute unusual request for a semi-circle cake to celebrate my baby turning 6-months (we were visiting the grandparents and figured they’d get a kick out of celebrating with a cute cake since they don’t get to see my baby often) and Patty and her team far exceeded my expectations!! The cake was perfect in both design and flavor. My parents don’t like sweet desserts but this cake was fluffy with a lightly sweetened (whipped?) mousse which they thoroughly enjoyed. Thank you to Patty and her great team for indulging my last minute request and making everyone in my family smile!! We had a large Party and ordered 24dz asst. mini cup cakes. They were delicious and were gone in a flash. Everyone loved them. Amazing!! My husband ordered a dozen gluten free cupcakes for my birthday — they were so tasty! This is probably the best GF cake I’ve had — it was moist, and the texture was spot on…and the icing was light & fluffy. Will absolutely return, and I’m so thrilled that I now have a go-to spot for GF goodies! Thank you, thank, you, thank you! Had these cupcakes at a BD Party recently. Amazing. I was up in Fullerton and took my cousin. Got to the shop and didn’t realize what a large selection of cupcakes they had. The cashier was very patient and answered all of our questions. A must try. I actually like the simpler flavors better because the really light frosting and creme inside are perfect! The cupcake tried the other day was very moist, and it had lots of flavors. I usually drive a distance for a good cupcake, and I am happy to find one close to me now. We celebrated our co-workers birthday last week and we ordered an assortment of cupcakes…. I had the chocolate with Carmel on top and it was pure heaven. Thank you.